Thinking of designing an eCommerce website where you can sell your photos or building a WordPress portfolio where you can show off your photography skills? It’s important to think carefully about your SEO strategy. Search Engine Optimization is how you make sure that the right people find your website. It’s also how you increase your chances of appearing above your competitors on the search engine result pages. The question is, while you may know how to use keywords on your site, do you know how to optimize your image SEO for WordPress too? If you’re a photographer, there’s a good chance you’re already using your high-quality images in your galleries and portfolios. However, you may think that there’s no need to use your own pictures on things like blog posts and “About us” pages. You might even decide to use stock imagery instead. 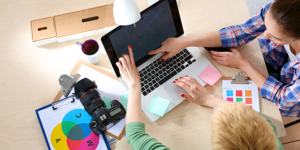 Unfortunately, using stock pictures could harm your SEO by altering the way that your customers feel about your site. If visitors see you using the same stock pictures as everyone else, they’ll question your professionalism. Make sure that you use original, stunning images that make the right first impression. What’s more, make sure that you’re choosing pictures with the SRCset attribute – this indicates that they’re responsive and ready to work on any screen. Once you’ve picked the photos you’re going to optimize for SEO, make sure you select the right file name. Remember that Google can’t read your images or find out what they’re about without your help. Avoid any random names that are just a selection of letters and numbers attributed by your camera. Make sure you use the keywords and phrases that are relevant to wherever you’re placing your photo for optimal image SEO. 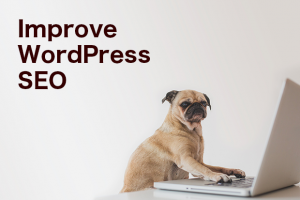 When it comes to optimizing image SEO for WordPress, there are few things more important than making sure that your pages can load quickly. The faster your site loads, the less likely your visitors will be to hit the “back” button. Unfortunately, pictures can have a significant impact on your loading times. If you try to upload a large image and display it on a page in a much smaller space, the entire image still needs to load. This is why it’s so important to resize your image according to how you want it to be displayed. You can also compress the image using tools like jpeg.io to ensure that you’re not weighing your site down with massive files. Once you’re finished compressing and re-sizing, test your site with Google PageSpeed, or Pingdom. Adding captions: Explain the contents of your image for people who are just scanning your article. Using Alt and title text: Be sure to add alt and title text to every image you use, in case your photo is unable to load for any reason. The alt text should include your keyword for the page in question if possible. Add structured image data: Adding structured data to your content helps search engines to display your images as rich results – giving you a more significant presence in the Google search engines. Image SEO on WordPress is the sum of various elements, ranging all the way from the quality of your picture, to the name on your files. It’s important to address all the points above if you want your SEO to shine. What’s more, remember to re-vamp your image SEO strategy every time a new Google algorithm rolls out. This will help you to stay on top of the latest trends. For more tips on WordPress, photography, and SEO, don’t forget to follow us on Facebook and Twitter.